Charles E. Warren, Jr. was born and raised in Florence, Alabama. He received a B.A. from the University of North Alabama, where he graduated with a triple major in English, General Sociology, and History. He also earned an M.S. in Justice and Public Safety from Auburn University-Montgomery and his law degree from the Birmingham School of Law, where he was the recipient of the Judge Leigh M. Clark Memorial Scholarship. He has several years of legal practice experience in Alabama in addition to over fifteen years of experience working for Alabama state government agencies. He is certified as a Guardian-Ad-Litem for Juveniles by the Alabama Administrative Office of Courts. 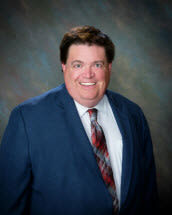 Mr. Warren has considerable experience in criminal defense, including traffic violations, misdemeanors, and felonies. In addition to substantial experience representing clients in Juvenile Court Delinquency and Dependency cases. Potts & Young Attorneys, L.L.P., serves clients in and around Lauderdale County and Colbert County in northwest Alabama, in communities including Florence, Muscle Shoals and Tuscumbia.